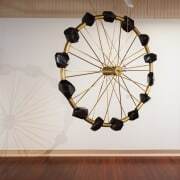 EyeContact website has recently published a review of Christchurch Art Gallery’s current exhibition of Andrew Drummond’s work. Andrew Paul Wood’s review can be viewed here. Andrew Drummond: Observation/ Action/ Reflection will continue at CAG until the 5th of September, 2010.